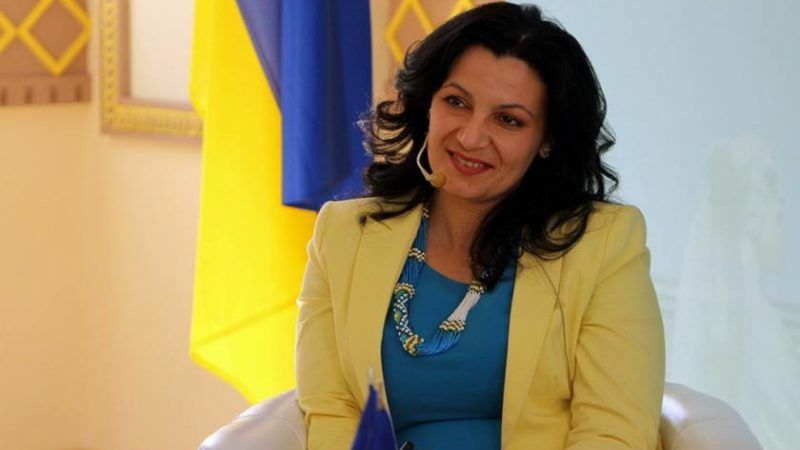 Ivanna Klympush-Tsynadze is Ukraine's deputy Prime Minister in charge of European affairs. Ukrainian Deputy Prime Minister Ivanna Klympush-Tsynadze, tasked with European integration, described in an interview the importance of the country’s Association Agreement with the EU. EURACTIV Spain reports. The Ukraine–European Union Association Agreement entered into force on 1 September 1 – an important step for bilateral relations. For the past three months, Ukrainians have been able to travel to the EU without a visa. Ivanna Klympush-Tsynadze explained what this agreement entails for her country, what her government has done until now and what Ukraine can offer to the EU. What are the primary benefits for Ukraine? We see this Agreement as a reform plan to achieve the successful economic and political systems of European member states. We already started to reform before the Agreement came into force. The Agreement is highly ambitious and resembles the plans that Eastern European countries adopted before entering the EU. A complex agreement such as this depends on all actors in Ukraine who initiated this momentous change, as well as civil society, to succeed. But we are aware that our efforts alone are not sufficient, but we need the EU’s technical and economic support to ensure that all these changes are actually implemented on schedule. Ukraine’s current government has achieved visa-free travel to the EU for your citizens. What does this mean for EU-Ukraine relations? I believe this was hugely important for Ukraine. We cut ties with our Soviet past, the Russian empire. The EU’s acknowledgement of all our efforts was instrumental. We worked closely with the president, the parliament, civil society and our European partners. I am saddened by the setbacks this process is suffering from – and not due to Ukraine but to internal EU affairs. I hope these political barriers, which weighed on the decision to enlarge visa-free travel, have less importance in European member states. I see a centrist swing within many countries, which are open to engaging in cooperation with Ukraine. Extending the visa regime also means enhancing personal and trade relations. It entails a clearer understanding of who Ukrainians are and putting an end to the myths which the Russian Federation promotes to European countries. This direct communication between citizens will yield positive results for the process of European integration. Ukraine’s government has talked repeatedly of “the European future of the country”. What does Ukraine have to offer to the EU? Not only can we advance these gains, but we are already doing a lot. Right now Ukraine is the frontier of the West. On the Eastern border, we are protecting against a Russian attack. This is how we are contributing to EU’s security. Ukraine is a large country, with an educated labour force. It is a safe country for investment, a market for EU products, and a quality producer in numerous sectors including food production and innovation. We are leaders in IT industry among developing countries. So we have a lot to offer in economic and security terms. You said in an interview that the Association Agreement “is a difficult task”. What are the biggest challenges to overcome? The biggest challenge is that in some sectors the result of our reforms are not immediate, and citizens will appreciate the benefits with time. We need widespread support to really bring about change. For instance, implementing the EU’s environment directives is a hard job. Citizens do not see its short-term importance, and the long term ecological risks lying ahead. People do not think about the long term – they want to see results in one or two years. But some results are only visible in a decade or so, and these changes are harder to achieve. What are the areas where change has been implemented? We started working at 360 degrees. One of the most important reforms is in the energy sector. Ukraine is in currently changing the natural gas and electricity markets, which were priorly non-existent. We decided to sell Naftogaz, a gas and oil transport monopoly. We are privatizing this sector, and becoming a more efficient state in the process. The government raised the price of gas for enterprises and individuals, and this is an important step against corruption. Another key project is the change in public procurement processes. This system is more advanced that in some European countries. The “Prozorro” e-procurement system has been compulsory since last August. This year, we saved about 20% of public spending through this system. It is also a strong tool against the plight of corruption in this field. We are adopting a new system for food safety and security, which is not Soviet-derived. Brussels has asked Ukraine to ensure democratic processes and fight against corruption. What advances have been made in this area? I already mentioned the energy sector, which is one of the most corrupt. We have launched new laws against corruption. This allowed us to create new state bodies such as the national bureau for the fight against corruption, a corruption attorney, and the national agency for preventing corruption. We have launched an e-system for the declaration of revenues of high profile political figures and public officials, which is accessible to the public, to journalists, and to international partners. The national agency for preventing corruption looks at these declarations, and then the national bureau for the fight against corruption investigates violations and refers them to the attorneys. 125 people have already been sentenced and large quantities of money and revenue have been returned to public coffers. We are finally working to heal the country from something which had been affecting it for too long, and we are seeing the first results of these new institutions. An incredible achievement of the past three years has been to restore confidence in the banking sector. Out of 190 banks, we closed all those we deemed inefficient. The challenge lying ahead is the reform of the judiciary, which is the weak spot of all efforts against corruption. I am pleased we held an open election for judges sitting on the Supreme Court. We hope that the constitutional changes we wrote in this area will give the desired results and gather momentum for a reform of the country’s judiciary. It will take time. In Ukraine, we have more than 7,000 judges and it is impossible to change them all at once. What obstacles did Kiev face in the negotiation process with Brussels about reforms? Ukrainians are the main supporters of reforms. The president, the parliament, the government and Ukrainians at large all have an interest in implementing reforms – it is not a question of “what Brussels says”. We are not reforming because of Brussels. We are doing it so that our citizens feel better protected, to allow our country to grow, to access European markets, create the conditions for international trade, and attract investors. In terms of obstacles, the largest one is the reform of government in Ukraine, which we started last year and are currently working on. It is impossible to have strong institutions without paying civil servants an appropriate salary and thus disincentivise corruption. But with a larger number of professional civil servants, we will be able to do it. We are also trying to eliminate superfluous functions from the ministries, such as managing public enterprises. Privatising these companies will allow for a more flexible governance, and the state will deliver more efficient services to its citizens. But we are facing a lot of opposition from the old system. Every effort we do requires a strong will and more time than we would like. The system was focused on process and not results, and we are breaking this cycle. It is a collective effort for the government, the parliament, civil society and our foreign partners. One of the things worrying the EU is the ongoing conflict with eastern Ukraine. What is your government doing to improve the situation? Ukraine wants a political and diplomatic resolution to the conflict. We want to highlight that this was an act of aggression by the Russian Federation against Ukraine – in 21st century Europe. This is a gross violation of international obligations and international treaties: from the illegal annexation of Crimea to the intervention of Russian troops in Eastern Ukraine. We are working with the Normandy format (Germany, France, Russia and Ukraine) to resolve the situation. We are coordinating our actions with the French and German delegations. Ukraine is respecting all of its commitments. But unfortunately, we regularly notice violations by Russian mercenaries on the Ukranian ground outside of Kiev’s control. Obviously, our army must respond to protect the civilian population. Violations by Russian mercenaries are a regular occurrence and they also prevent independent OECD observers from entering the area. Russia is directly violating the Minsk protocol. During negotiations, we see that Russia is not ready to discuss humanitarian issues, like the release of hostages illegally detained in conflict areas, and of political prisoners held in Russia. The number of troops and weapons deployed by Russia in the conflict keeps rising. We are working with international organizations to increase their presence and surveillance role because we want the world to have objective facts. This will allow us to restore Ukraine’s territorial integrity.